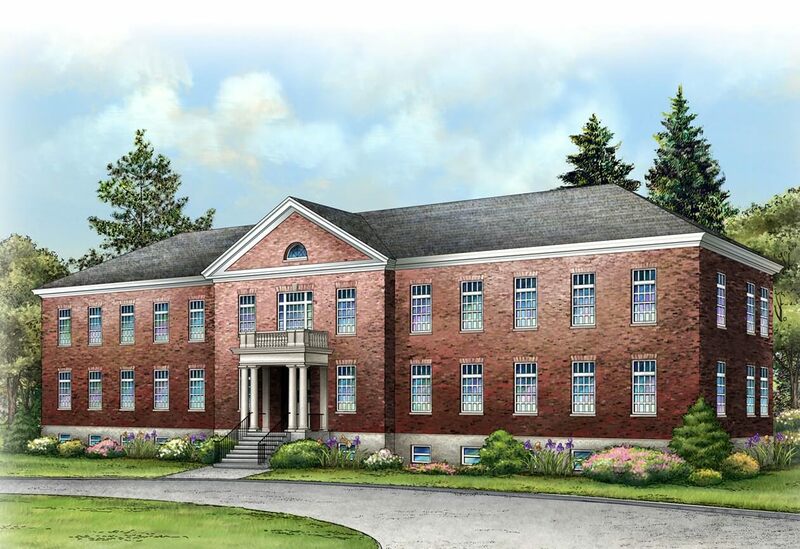 Our current capital campaign – the Journey Home Fund – specifically focuses on the purchase of the Historic Army Hospital and its renovation into Clear Path’s Veteran Resource Center in Devens, MA. This is a wonderful giving opportunity as it will help create a legacy that shows that Citizens care about the wellbeing of our returning Veterans today and long into the future. In donating to the capital campaign your individual gift will leverage support from our sponsors, other charitable foundations and our lenders. Phase I (2018): Purchase of building, development of building plans and permits for the project. The building is under agreement and this phase is well underway and on target for 1st quarter 2018. Phase II (Summer/Fall 2018): Building renovation phase including industrial size teaching kitchen and the family style dining area, office areas, conference room and service dog training area. In addition accommodations for handicap access will include a new entry and installation of an elevator. Phase III (Winter 2018/2019): Full finishes for the wellness wing and move all programs and services to the building. Phase IV (Spring 2019): Full exterior landscaping including a playground, outdoor chapel area, reflection areas. Final Phase (2020): All expansion areas are fully finished and operational. Complete a Recurring Annual Pledge form and we will invoice you in December for the following year.